Formula One might have dropped the Malaysian Grand Prix from its calendar after last season, but its host track wasn’t done with F1 just yet. The track still had an insurance claim from the Haas F1 team to deal with, after a drain cover came loose and sent Romain Grosjean spiraling toward a wall last year. The amount has not been disclosed, with [Haas team principal Guenther] Steiner saying the team sought “only enough to cover the damage, and we are happy with the final result”, but it is thought to be less than was initially suggested. 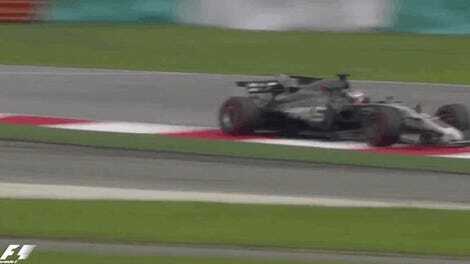 The claim started with the crash, which happened during a Friday practice at Sepang last October when Grosjean’s rear tire exploded going into a turn and sent him into a wall. 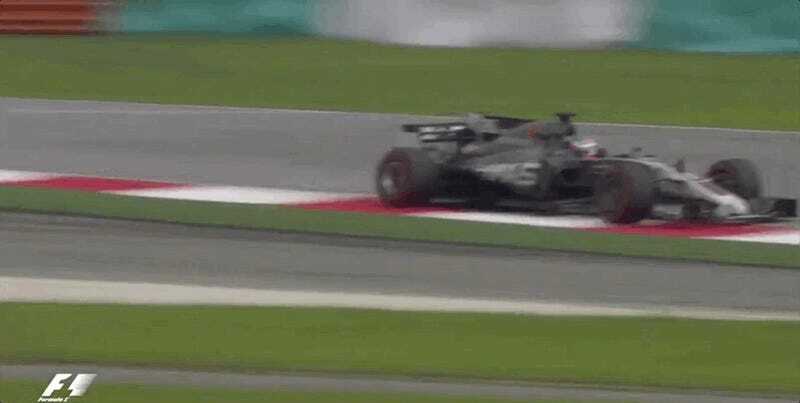 Footage showed the drain cover that caused the crash to be on the edge of the racing surface, and F1’s governing body, the FIA, later said it thought a “welding failure” made the cover loose. Officials called off the rest of that practice to check other drain covers before the next session. Estimates for the damage to the car were between $660,000 and $1 million, and you better believe Haas treated this like a fender bender on Main Street. It’s easy to chalk it up to “What’s $700,000 to an F1 team?” from the outside looking in, but Steiner said last year the he, understandably, wasn’t happy getting a big bill because of a poor welding job. 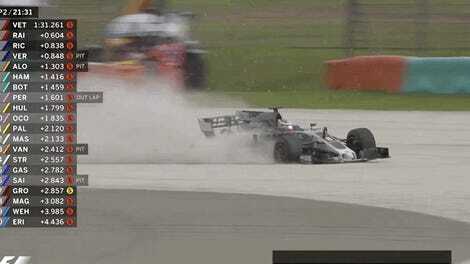 The team said a few days after the race that it wanted compensation for the wreck, and filed an insurance claim. Say that last part louder for the people having a fender bender on Main Street, Guenther. It’s always so easy to forget in the moment.